Shepherds Rest Cottage0116 259 2332work Self-cateringShepherd's Rest is a converted cosy one bedroomed cottage. 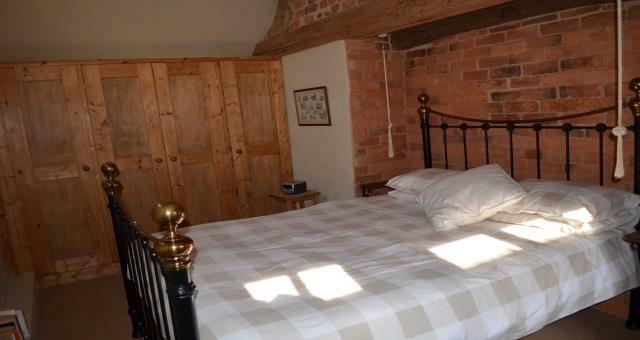 It adjoins the main farmhouse, dating back to 1650, set on a working sheep farm in the conservation village of Burton Overy in the south Leicestershire countryside. 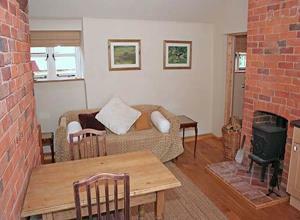 Shepherd's Rest is a converted cosy one bedroomed cottage. It adjoins the main farmhouse, dating back to 1650, set on a working sheep farm in the conservation village of Burton Overy in the south Leicestershire countryside. Accommodation is all on the ground floor which keeps beautifully warm in the winter and cool in the summer. Linen, towels, electricity and logs for the wood burner are all included in the price. Also a welcome basket is provided which includes homemade bread and preservatives. Credit cards not accepted. Children welcome from any age. The grid shows the prices and daily availability from Mon 22 Apr 19 to Sun 28 Apr 19. It's easy to check availability for particular dates; just use the calendar to choose the check in date, select the number of nights and click the 'Search' button. Click the Book Now button to book the highlighted days. With Book Now the unit booking will be confirmed immediately, with Book Now the unit reservation will be confirmed within 24 hours..
Burton Overy is just off the A6, 7 miles from Leicester city centre and 9 miles from Market Harborough. Shepherds Rest Cottage is at Manor Farm on the corner of Washbrook Lane and Back Lane. It is situated between junctions 20 and 21 off the M1 which will take approximately 30 minutes from either junction by car.